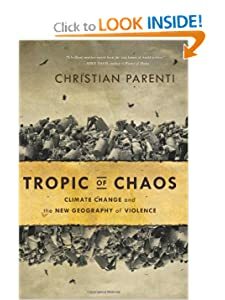 An award-winning journalist combines on-the-ground reportage with incisive analysis to reveal the disturbing connection between climate change and increased social and political violence. A thoroughly researched, well written, thoroughly depressing book. I read this when it was so smokey outside even my dog didn’t want to leave the apartment-which I’m sure influenced my view. It seems plain to me that the response of “our” oligarchy to this is to ramp up “defense spending” even more. Christian Parenti comes across here as a more careful, less ideologically driven writer than his father Michael-for better or worse.